François Morellet was a prominent member of the Kinetic Art movement in the 1960s. He is best known for his sphere-frames, cellular spheres built up from metal rods set at right angles to each other. 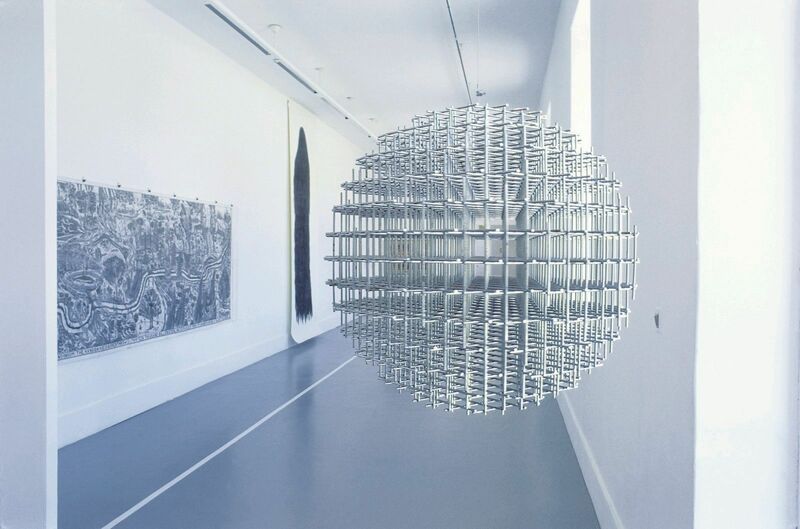 Morellet made these works in various sizes and materials, some as much as 1.8m in diameter. Hung as a mobile, ‘Sphère-Trame’ creates visual effects involving movement, exaggerated perspective and reflected light-patterns.